Your ritual mask as a necromancer is part of what makes you unique! 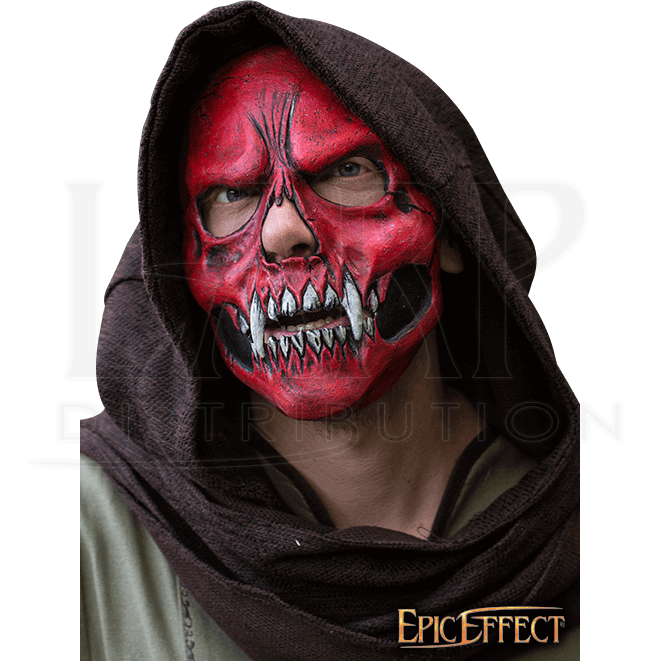 Assume the guise of a demon by wearing the Red Skull Trophy Mask and be a terrifying leader of skeletons on the LARP battlefield! Your enemies will tremble! Crafted from 100 percent high-quality latex, this skeletal face mask is bright red with white teeth and furrowed brows. A black strap secures the mask around your head, ensuring that it will not slip off during combat. Pair it with a hood or dark armour for a creepy demonic look and command your undead army with unholy authority!